Photos by David S. Wallens and J.G. Pasterjak unless otherwise credited. 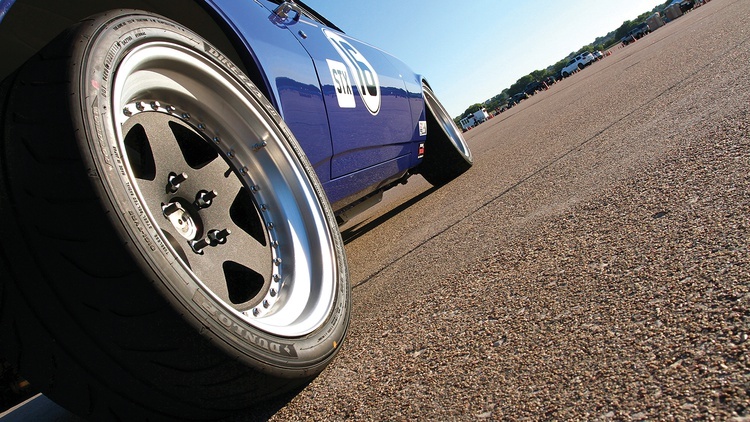 Today’s autocross scene features more than a few pony cars–they’ve become the latest big thing, in fact. Look closely, however, and many feature reworked chassis, updated drivetrains and massaged bodies. SCCA Solo Champ Jason Rhoades wanted to autocross an early Camaro, but at the same time, he had no desire to leave the reservation. As he explains it, his goal was to build an autocross car that closely mimics the Camaros road-raced by legend Mark Donohue decades before. And one more caveat: His pony car had to be nationally competitive when finished. 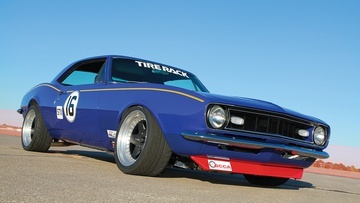 His bogey would be SCCA’s Street Touring ranks, the usual home for small-bore imports as well as late-model pony cars. This would be uncharted territory for vintage Detroit iron. 1967 was a big year for pony cars: GM had finally entered the fray with their Chevy Camaro and Pontiac Trans-Am. The Ford Mustang, Mercury Cougar and Plymouth Barracuda now had more competition. The battle for showroom traffic immediately spread to the race track, with manufacturers supporting teams in SCCA Trans-Am competition. The cars were somewhat stock–well, they were supposed to be–and engine displacement topped out at 5.0 liters. 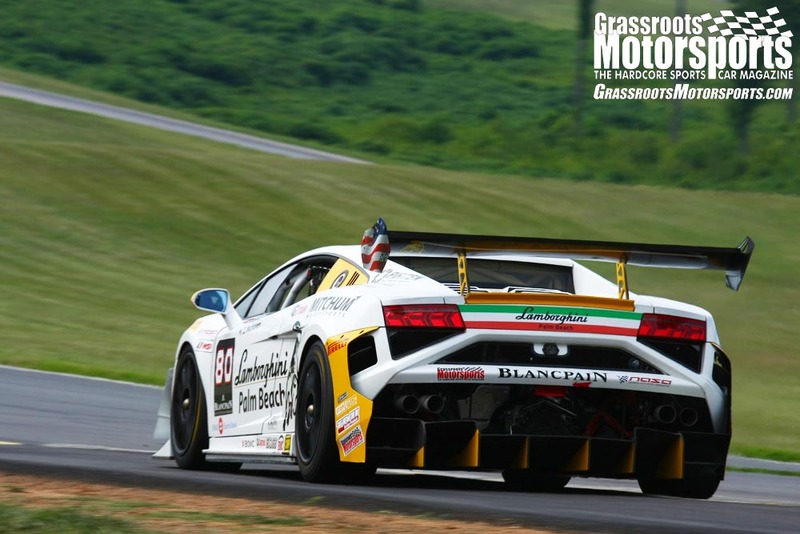 The day’s top drivers and teams were enlisted to support those efforts. Chevrolet placed its bets on Penske Racing, already a major force in American road racing. 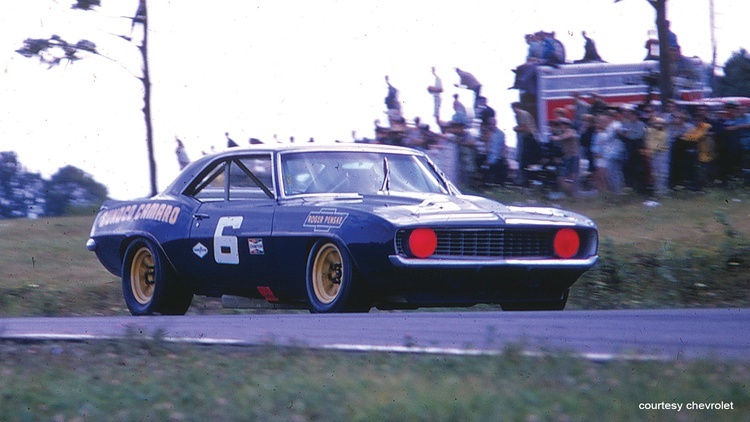 Their driver roster included Mark Donohue, one of the best of all time, and he drove Penske’s dark-blue Camaro Z28 for the 1967-’69 seasons. While Trans-Am driver championships weren’t awarded until 1972, Donohue left a mark on the series. After scoring three wins in that first year, Donohue gave Penske and Chevrolet their respective championships for 1968 and 1969. That dark-blue Camaro had become an icon. Jason faced a decision: Which Z28 from that amazing run should he duplicate? 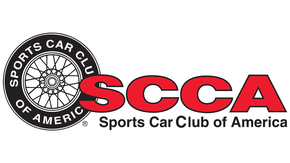 The SCCA rules helped answer that question. They allowed him to mix and match Camaro options and packages only across a single year, but he couldn’t create a car unavailable from the factory. He could turn a base-model car into a Z28, for instance, but he couldn’t run a 1969-spec engine in a 1967 body. He set his sights on a 1967 model, since that year’s Z28 could be ordered from the factory with the fewest weight-adding options. For example, as Jason notes, that’s the only year that the heater could be deleted. Since Chevrolet only made 602 copies of the Z28 that year, he’d have to create his own from a “lesser” model. Sure, starting with a real Z28 would have been nice, but that would have significantly added to bottom line. 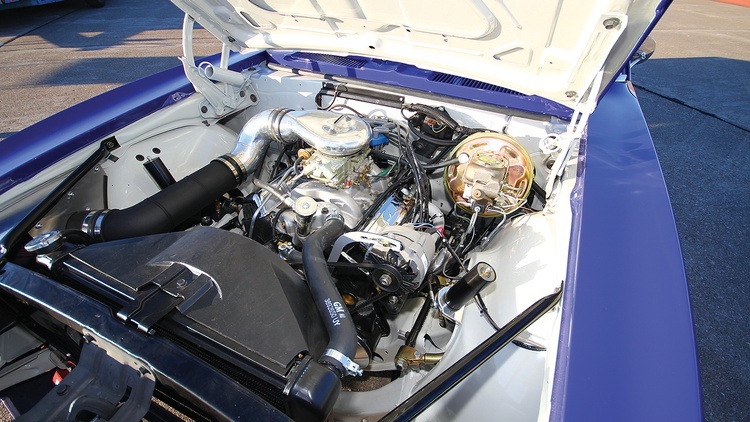 The 302-cubic-inch engine fitted to that year’s Z28 is also easier to duplicate than later ones, Jason says. He explains that Chevrolet’s recipe for the high-winding V8 pretty much just called for ingredients from the parts bin: a forged 283-cubic-inch crank, Corvette fuelie heads and camshaft, and the Chevelle SS carburetor–all attached to the 4-inch block used for the brand’s 350- and 327-cubic-inch engines. Now Jason needed the blank canvas. Craigslist would yield the prize, a reddish 1967 Camaro billed as a daily driver: 1984-spec V8 engine, four-speed transmission and four-wheel manual drum brakes. No extra charge for the overspray. Why this particular example? It was billed as a rust-free car. The car survived the 500-mile drive home, and some further inspection revealed more good news: The Camaro was had zero rust, as promised. Time to completely take apart the Camaro and turn it into a Street Touring autocrosser. As per the class rules, the changes from stock were relatively minor. He could upgrade his Camaro to Z28 specs, including the 302-cubic-inch engine and M21 Muncie four-speed gearbox, yet the aftermarket equipment was limited mainly to bolt-on suspension parts, a free-flowing exhaust, and bigger wheels wrapped with sticky street tires. Since the Street Touring ranks are aimed at late-model cars, the class allowances for reprogrammed ECU units were skipped. 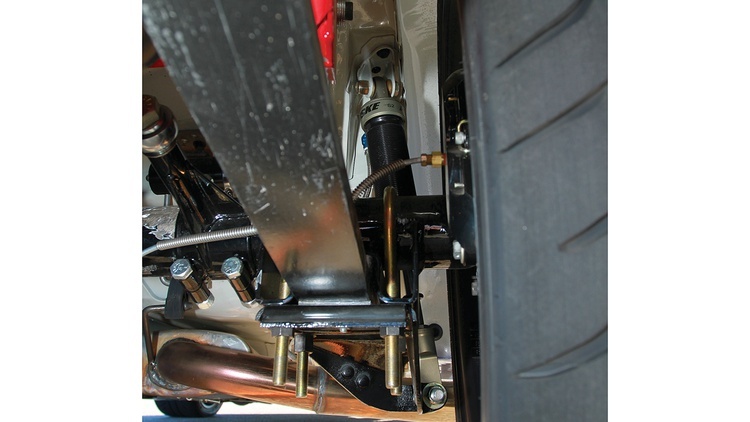 Thanks to SPC adjustable upper control arms, Jason is running a massive 6 degrees of negative camber up front. 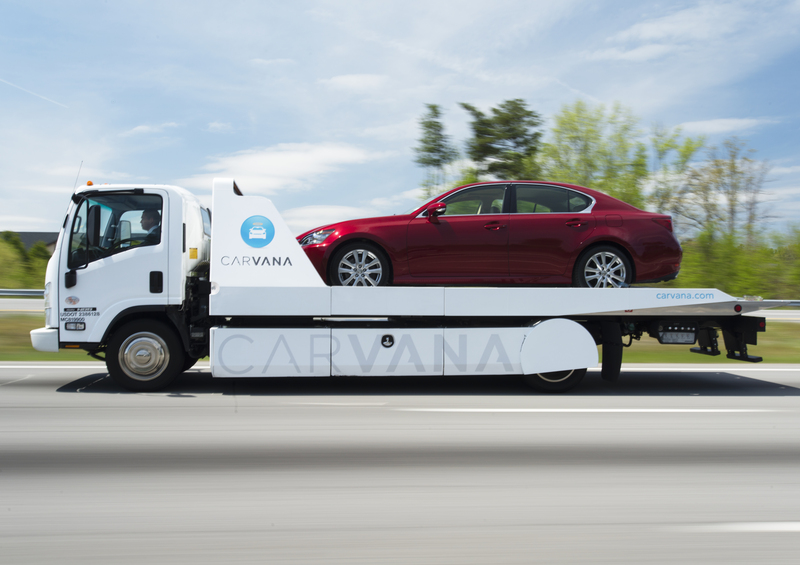 The stock arm is 9 inches long; these are only 7 inches long, helping to tip the tops of the tires farther inward. “I am running about the same rear spring rate as most those guys, but two to three times as stiff in front,” he explains. “My car has never pushed; it is mostly way too loose. After more than two years under construction, the Camaro hit the cones in early 2013. 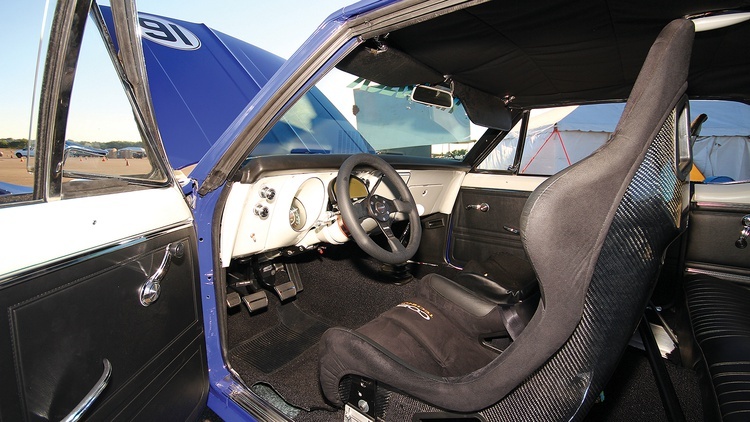 Where most experts recommend breaking in a new build at a local event or a test-and-tune day, Jason started in the deep end of the pool, unveiling the car at the SCCA San Diego National Tour. As he admits, the car was unsorted and he was a bit rusty. And the Camaro was too loud for the site. And he was on tires that were a generation old. And the initial setup wasn’t even close. Did he pull off some miraculous win suitable for the feel-good movie of the year? Sadly, no. In fact, when he turned off the engine in order to tighten the loose header nuts, the car wouldn’t restart. He finished the event in a BMW borrowed from a competitor. A week later, Jason had the Camaro at the El Toro ProSolo, another national-level event. This time, ignition problems cropped up and he posted only one run time for the entire weekend. Still, he saw promise. Better tires, a sorted setup and a bit of driver reacquaintance could have the Camaro in the game, he reasoned. Between the national championship in the 240SX and the Camaro’s build, Jason autocrossed Vipers–big, fast cars. The Camaro feels similar, right? Well, close. 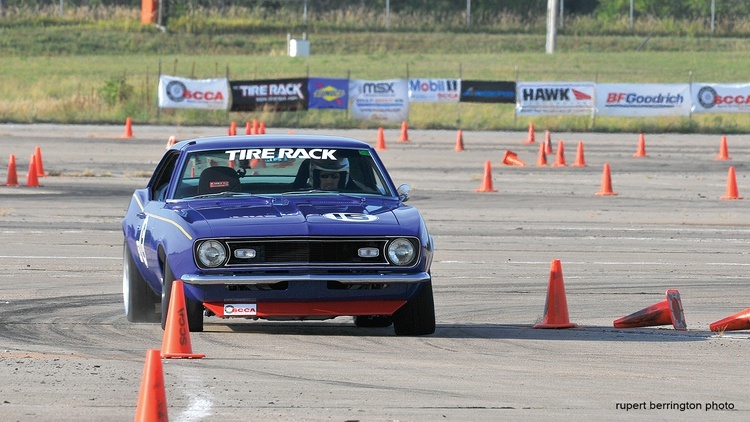 After an abbreviated season–the culprits were ignition problems caused by faulty gear as well as some rocker arm issues–Jason and the Camaro rolled into Lincoln, Nebraska, for the Tire Rack SCCA Solo Championships. The usual suspects dominated his STX class: the Mazda RX-8, E36-chassis BMW 325i, Acura Integra Type R, and Subaru BRZ and Scion FR-S twins. The high point of the weeklong outing? In the ProSolo Finale, Jason wheeled the Camaro to a fifth-place finish, winding up about 2.3 seconds behind the winner, but close enough to grab the final trophy spot. At the Solo Nationals, things were a bit more trying. During a test-and-tune run, he heard rubbing sounds coming from the rear of the car–like a tire hitting something. Sticking a camera back there confirmed his suspicions: The rear axle was moving a lot from side to side. A thinner spring spacer block would cure that, he figured, but that’s not something you can always find locally–unless, of course, you’re in Lincoln, Nebraska, home of hotrod superstore Speedway Motors. During his first day’s competition runs, the engine started to stutter at high rpm. More ignition problems? Some detective work revealed the issue: a chewed-up pushrod. Again, Jason notes, Speedway Motors came to the rescue. At 5:30 on a Thursday evening, they were able to hand a set of small-block Chevy pushrods across the counter. One last problem cropped up: a leaking valve cover. 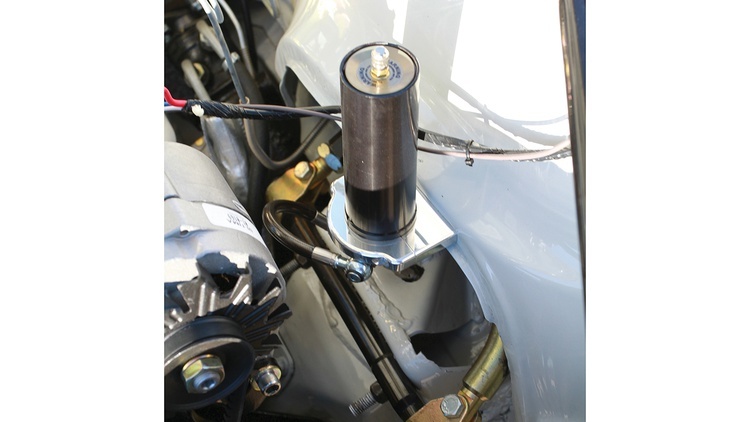 Tightening the valve cover’s fasteners only made the leak–and the distraction–worse. After making a big splash in the Solo scene, Jason’s Camaro will sit out this year. Call it an unintended victim of a rule change for 2015. The Street Touring Unlimited class also welcomes the C5 Corvette. Jason doesn’t see his Camaro having a fair fight. Is this the last we’ll see of Jason’s Camaro? Based on the word on the street, he says not to be surprised if you see the car back in STX for 2015. That's a really neat car. Did it ever get moved back to STX? Whatever happened to the car and Jason? I remember him dialing in the 240sx at my local events in SD. When I eventually purchased an s13, I built it around his ST winning formula, which he was gracious enough to publish in your mag. Being able to start with a blueprint of spring rates, sway bars, and alignment angles was priceless. I still keep that copy of GRM in the folder with all my shop manual literature. My s13 ended up winning the regional SM championship in 2013 and placed 5th at the National Tour in SD in 2014 with 1.5 year old Azenis. Only 2 cars beat me that year, A GTR (2 drivers) and a national championship winning e36 with S54 swap (also 2 drivers). All with a whopping 150HP and 225 width tires. Happen to have scan of those setup tips? I seem to recall him posting on his blog saying this car was mothballed because of the rule change and he was prepping a 370Z to run until something changed. That's probably been close to 2 years since I read that though. I'll try to remember to pull the mag out tonight when I get home tonight.